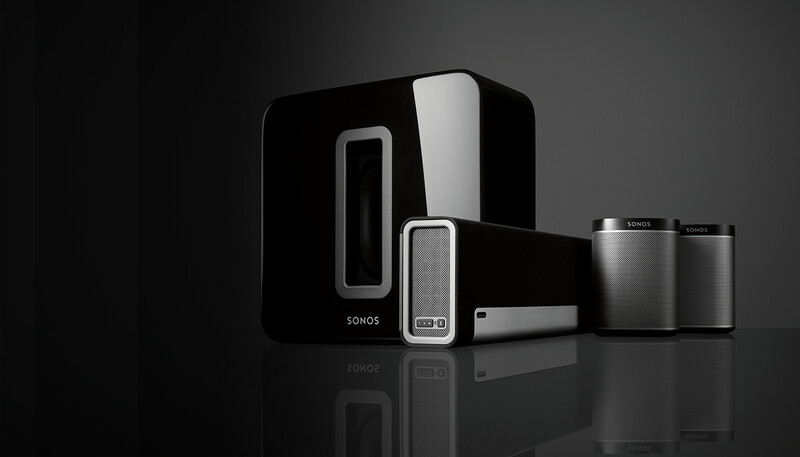 Live your music-listening life uninterrupted with Sonos sound systems. Never miss a moment of your favorite songs as you move from the kitchen to the laundry room to the bedroom. We carry the leading sound systems to make your home look and sound amazing. Don’t return to a hot, humid home after a week away on vacation. Home automation technologies can help control aspects of your home like temperature, lights, alarm systems, door locks and more all from your smartphone. We can automate other life-changing aspects of your home to help improve and ease your lifestyle. Create an ideal movie watching environment in the comfort of your own home. Watch in crystal clear high definition and listen in room shaking surround sound while reclining on your luxury seating. Enjoy your own personal home theater experience as it comes to life. For years, the audio visual experts at SAMM Sound have been providing residential solutions in the New York/New Jersey area with high-quality audio systems, home theaters, security systems, home automation and more. SAMM Sound actively seek out the best possible partnerships with brands you trust to ensure you are getting highest quality products. We ensure quality services for every customer before, during and after each project. Our goal is to accomplish your systems integration while maintaining your home’s interior design. We work with you, your architect, contractor and designer to incorporate everything seamlessly into your remodel, renovation or new construction project. We are prepared to fulfill any design and engineering needs with professional, experienced consulting services, with an eye toward increasing the value of your upgraded home. You can trust that your home is in good hands with SAMM Sound. Imagine if your music could follow you around the house as you go about your day. From the kitchen, to the dining room, and even outside on the deck, SAMM Sound can give you a seamless audio experience by installing in-wall speakers, which blend in with your home’s aesthetic with built-in controls. For all your listening needs, SAMM Sound will provide the best speakers, including wireless, Bluetooth and Internet-ready sound systems. One of the most popular wireless home sound systems today is Sonos, and SAMM Sound is one of the leading Sonos dealers in the US and in New Jersey, and has been since the company first launched over 10 years ago. 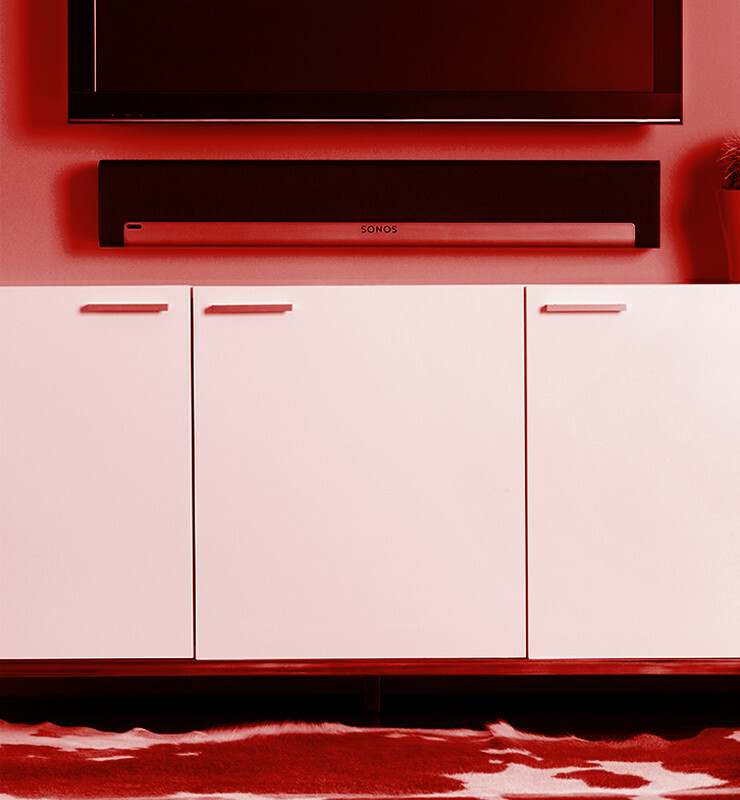 Sonos Bridge creates a dedicated wireless network for your Sonos system to extend the range of your existing network and ensure a clear connection, no matter what room you’re in. For Sonos Play:1 is a WiFi speaker, pre-loaded with Internet radio stations such as Pandora and Rhapsody, that delivering powerful, crystal clear sound. Play 1 is a portable speaker, allowing you to easily carry it outside as a wireless outdoor speaker. In addition to Sonos, SAMM Sound also carries sound equipment from Bose, Boston Acoustics, Yamaha, Artison, Audiocontrol, cambridge Audio, JBL, Integra Home Theater, Marantz, Martin Logan, Monitor Audio, Niles Audio, Origin Acoustics, RBH Sound, Sonance, Speakercraft, Stealth Acoustics, Stereo Stone, Sunfire, TDG Audio and Velodyne. Plus, we have multi-room audio systems from Crestron, Control 4, Elan Home Systems and Niles Audio. SAMM Sound can also supply customers with furniture, which is built specifically for strong equipment, such as your stereo system, while still providing optimal sound quality. For example, in many home theaters specific seating makes for the ideal viewing and listening experience. We carry furniture from Acoustic Smart, BDI, Chief, Middle Atlantic, Omni-mount, Salamander Designs and Sanus Systems. Sit back, relax, and let yourself get carried away into your favorite movies with the click of a button. 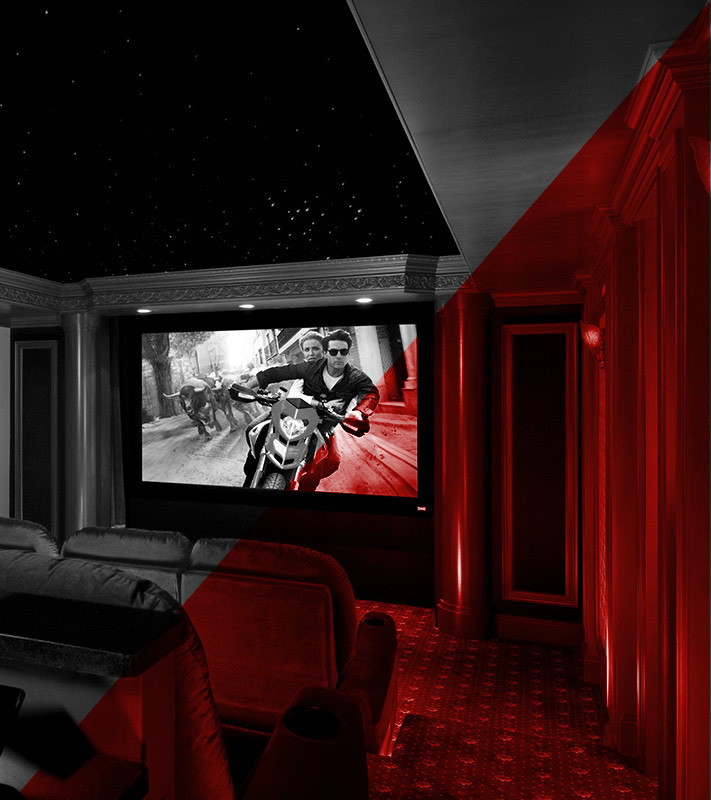 Whether you’re looking to build an in-home movie theater or revamp your family room, SAMM Sound can provide the equipment, design and installation expertise you need. Set up your new TV room with a brand-new, hi-def television. We carry TVs from brands including LG Electronics, Samsung, Sony and Sunbrite to ensure you get the best quality equipment that will last. We offer TV mounting, as well as cabinets and stands specifically designed for audio and video equipment. We can make your equipment look as discrete as you’d like, including built-in ceiling speakers and tucked-away mounted televisions. Or, disguise your TV as a mirror with Seura “Mirror” televisions. Our home theatre setup service makes it that much easier to start enjoying your sleek new setup. 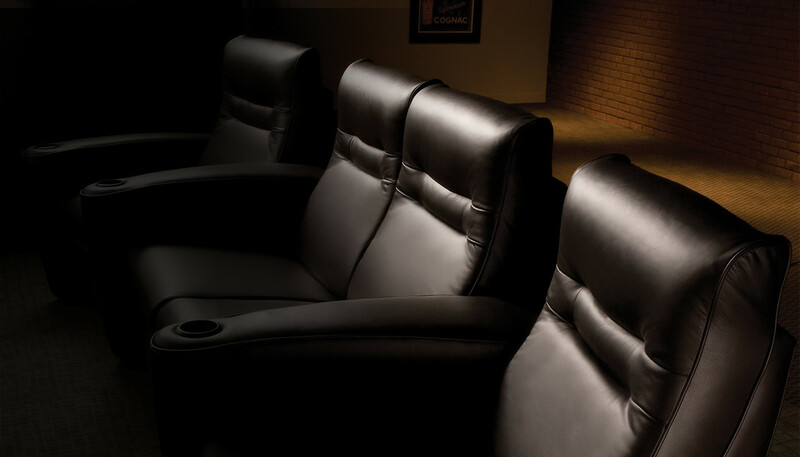 For those of you looking for total comfort and movie-watching enjoyment, we’ll design and outfit your home theater with a projection system and display screen from vendors including Sony, Epson, Sim 2, JVC, Sharp, Dalite, Draper and Stewart, as well as theater-quality seating, light dimming system (such as Lutron systems), insulated walls and more. We carry the top rated equipment for home theatre systems, including projectors and a wide assortment of audio equipment designed to accurately reproduce movie soundtracks—you’ll forget you never left the house! Our specialists are experts in home theatre and audio video systems and will work with you throughout every step of the design and installation processes. Visit our showroom in West Caldwell, NJ, which has a home theater and top audio video equipment on display. Did you remember to lock the door when you left the house? Turn off the lights? 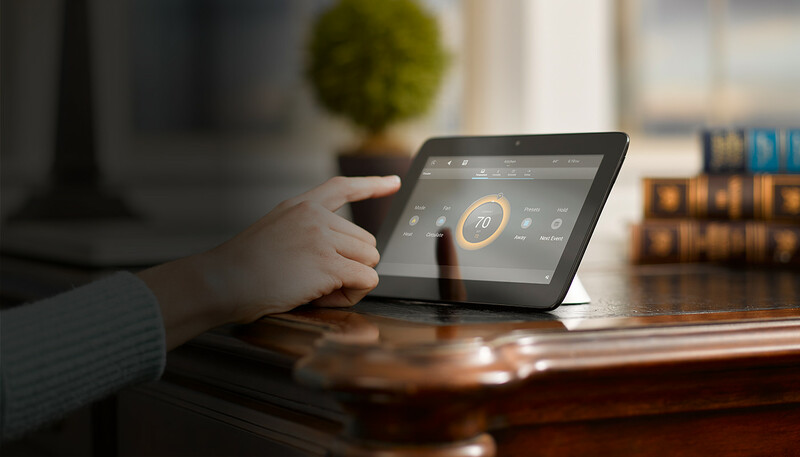 With a home automation system, those questions will never bother you again. Step into the world of smart living for convenience, cost-savings and peace of mind. Home automation solutions let you remotely control everyday home functions, such as setting the temperature, controlling the lights, playing music, turning on a home theater system, locking and unlocking the door, opening and closing the garage, setting your alarm and more. SAMM Sound offers solutions from Control4 and Crestron, as well as Lutron dimming systems, which are among the best home automation systems available. 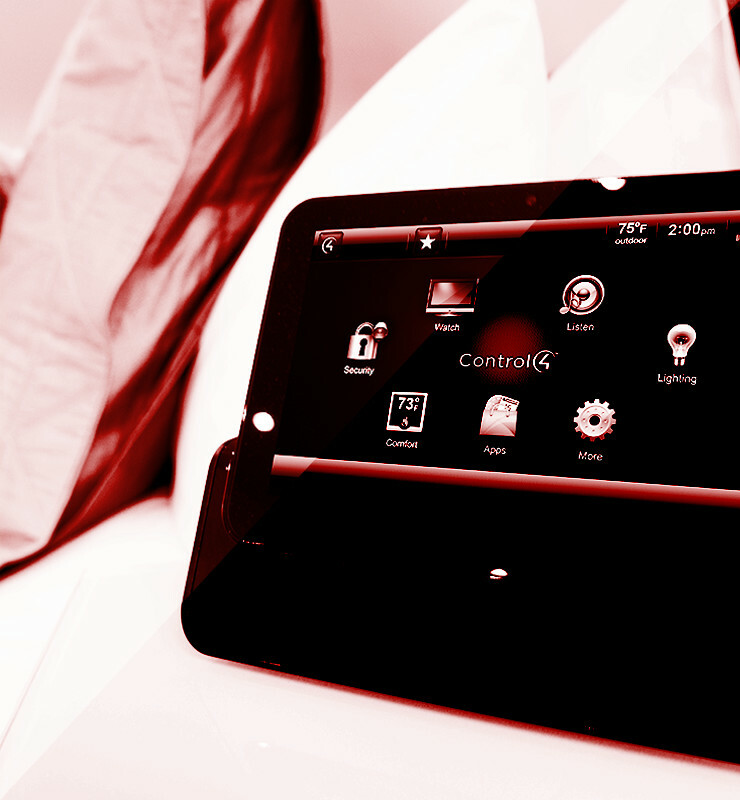 These systems can control practically any device or function in the home. Whether you just want to control one or two functions, your entire home, or multiple homes, SAMM Sound will work with you to ensure a perfect installation. Ditch the stash of remotes: program and control all aspects of your home from one app – including music, TV, lighting and all of the features mentioned above. You can never be too safe when it comes to the security of your home and family. SAMM Sound can help you build a custom security solution that meets the needs of your family and lets you feel at ease knowing your property is properly secured. Protecting your home is now easier than ever with the prevalence of smart devices. 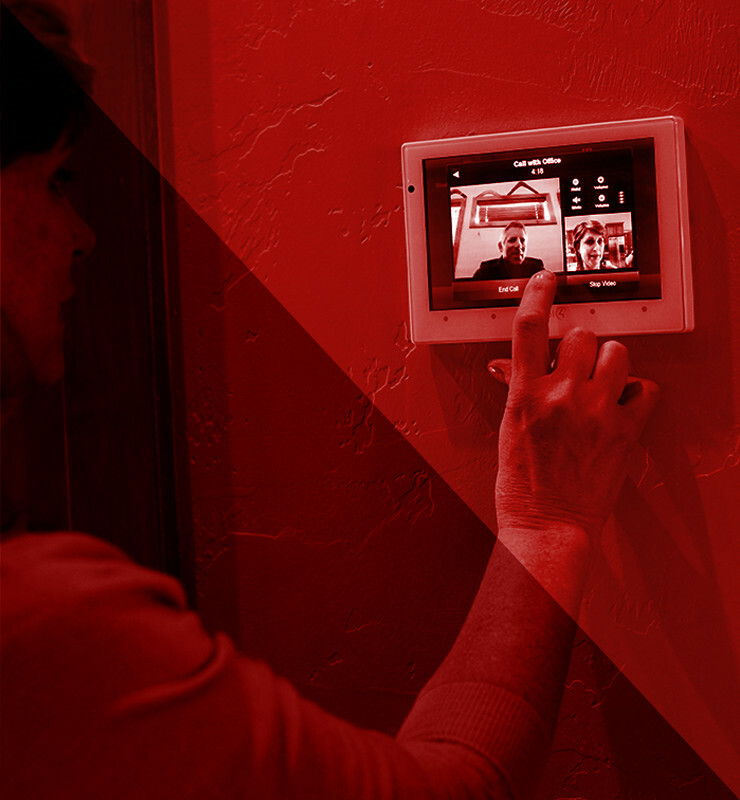 Now, you can control surveillance cameras from your tablet or phone. So, if you have a vacation house that you want to keep an eye on, SAMM Sound can install a surveillance camera system that allows you to log in and monitor the house, no matter where you are, right from your phone or tablet. Our home surveillance security systems can be controlled and monitored through iOS or Android devices. Cameras can be set up mounted indoors and outdoors, for full coverage of your property. 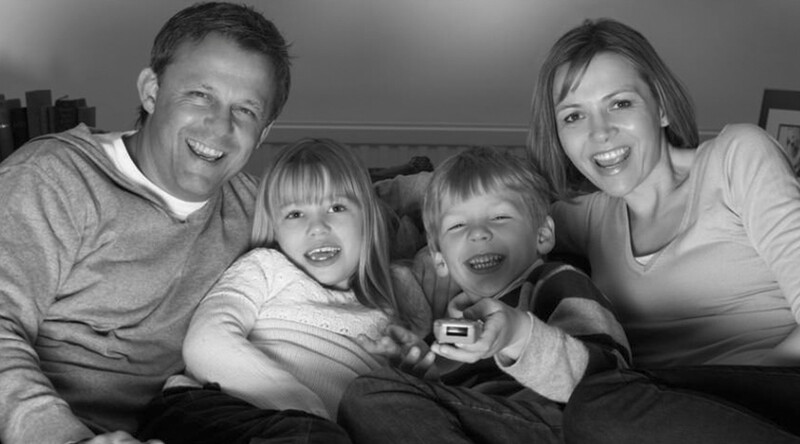 We even offer nanny cam or a pet cam, to keep an eye on your loved ones when you’re not home. Wouldn’t it be great if you could enjoy the beautiful weather, grill and watch the game at the same time? Or listen to your favorite music without having to lug bulky equipment in and out of your home? At SAMM Sound, we can supply you with everything you need to create an immersive outdoor audiovisual experience. 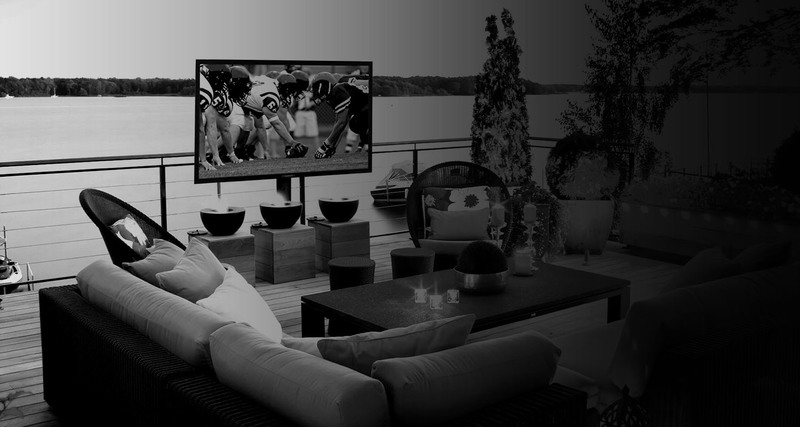 Weatherproof televisions with crystal-clear displays, mounted securely in your outdoor space, give the whole family the best of both worlds: their favorite shows or game-time excitement by the pool, grill, deck or patio. Imagine: No more barbecues with half of the guests inside by the television! Watch your favorite movies underneath the stars—a romantic date night! Or, keep the little ones busy while you’re grilling. The benefits are limitless. We carry products from SunBriteTV, an industry leader in outdoor television. We offer a range of wireless, weatherproof audio equipment to allow you to instantly turn on your favorite tunes. And if you’re worried about disrupting the all-natural look in your outdoor space, we offer a range of “hidden” speakers or landscape products, including ones disguised as rocks. We also offer portable, wireless, Internet-ready speakers by Sonos, that you can bring outside with you, if you’re looking for a product you can enjoy both indoors and outdoors. The audio video experts at SAMM Sound will help you find the best equipment for your needs. Our showroom in West Caldwell, NJ has many of the products we offer on display. We’ll work with you to ensure you’re happy with your outdoor TV and sound system for years to come. Are you planning to build or renovate a home? Make sure it’s set up to support all of your audio video and home automation equipment, in all of the right places, by working with us for pre-wiring. 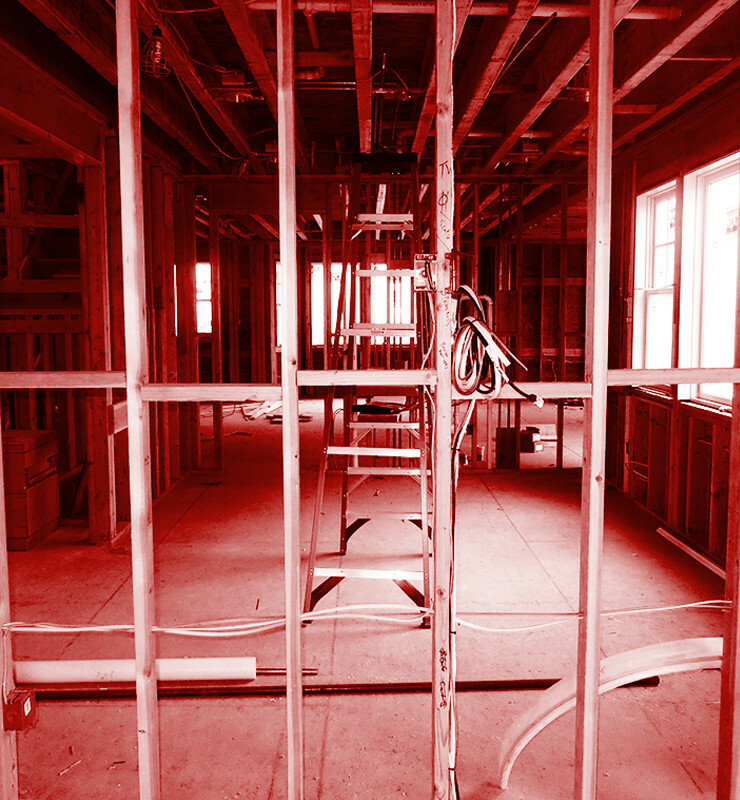 SAMM Sound is fully equipped to handle the wiring for both new construction and existing construction. We often help clients during the design stage of new construction, including complete home builds and renovations. We can help clients make decisions about the locations of televisions, floor jacks, data points, and whether they can be hidden or not hidden, motorized or not motorized, and more. No more awkward TV setups or yards of pinned-up wiring to accommodate your layout—your preferred locations will be planned and installed before the construction is even finished. After we’ve provided consulting, we can be hired to do the pre-wiring of a building, which is the first phase of a three-phase approach. First, we pre-wire, which includes installing brackets. During the second stage, we trim out the holes in walls and ceilings to properly install speakers and controls, for example. Throughout the final stage, we perform the installation of equipment and electronics, such as televisions, speakers, home automation systems, security cameras and more. We are happy to discuss this process with clients, as well as professionals in the design and build fields. We frequently work with contractors, architects, builders and designers for home audio video and automation design and installation, and welcome the opportunity to work with you on future projects.